You are here: Home Recreational Marijuana Guide Drunk vs High: What Is the Difference? Drunk vs High: What Is the Difference? 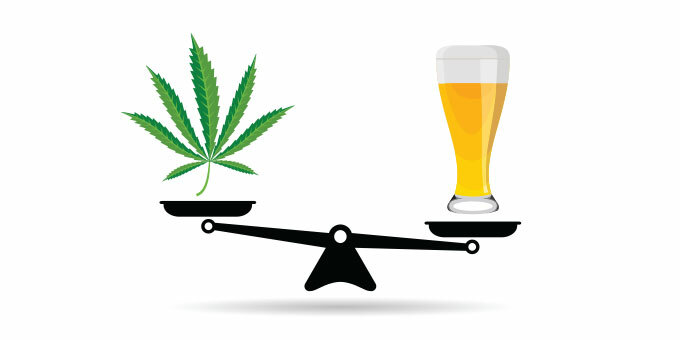 If you have consumed both alcohol and marijuana, you know there is a distinct difference between being drunk vs high. But, have you considered the effect of both substances on your brain and long-term health? Cannabis has yet to be legalized in Canada, but, there is already overwhelming research that proves cannabis has many health benefits. For this reason, marijuana is often used to treat many medical ailments. Research proves that alcohol may have a negative effect on your health and could do irreversible damage to your internal organs. Keep reading below to find out more information about the key differences between drunk vs high. Cannabis is quite different from alcohol in terms of how you feel when you are high. The effect of cannabis can vary and depends on many factors including the type of marijuana strain consumed. There are several strains of marijuana available that provide different effects on your mood while high. These effects vary from person to person. Most marijuana users love weed because they experience a feeling of euphoria and happiness. Getting high on cannabis eases your mind and relaxes your body. Getting high allows many users to focus their thoughts and clears their mind. This is whymany celebrities and musicians turn to marijuana to spark their creativity and focus on their work. Despite the many benefits of marijuana, cannabis may increase your heart rate by almost two to three times the normal rate, according to WebMD. This increases the chance of someone experiencing a heart attack or stroke. Short-term effects of cannabis also include loss in coordination, short-term memory loss and a lower reaction time. In comparison, alcohol is a depressant and may cause brain function to slow down when you are drunk. It has a sedative effect on the brain and lowers the level of serotonin and norepinephrine. These chemicals are essential in regulating mood, and so, alcohol can worsen symptoms of depression. So, although you may start off feeling happy and energized, alcohol can actually put you at increased risk of depression. A key difference between getting drunk vs high is evident in the way that each substance affects the normal functioning of the brain. Alcohol affects the cerebellum in the brain, which handles the control of your balance and movement. Which is why it’s common to lose your balance and coordination after a couple drinks. Alcohol also effects the cerebral cortex and lowers your inhibitions, giving you a feeling of confidence. In contrast, cannabis works by targeting receptors in the brain, the central nervous system and throughout the body. Marijuana contains cannabinoids such as THC, which bind to the CB1 and CB2 receptors in the central nervous system. These neurotransmitters make up the endocannabinoid system (ECS) and when they bind to cannabinoid receptors, they ignite the psychoactive feelings of being high. The endocannabinoid system handles many neurological processes. The most important difference between being drunk vs stoned is the potential of causing death. Alcohol is a poison, which makes alcohol poisoning the largest risk associated with drinking alcohol. The amount of alcohol it takes to overdose varies depending on the person. Yet, you can cause serious problems to the organs in your body from drinking large quantities of alcohol. Drinking too much alcohol or too frequently is most likely to cause permanent damage to brain cells and long-term effects to your health. In comparison, to date, there has been zero recorded deaths from ingesting too much marijuana alone. In cases where cannabis has been reportedly in the system, there has been a combination of other substances. 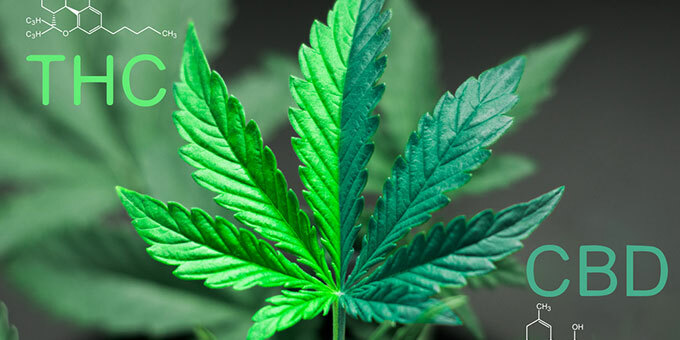 Cannabis plants contain a compound called CBD (cannabidiol), which has been proven to aid in many health ailments. Cannabis that contains high levels of CBD has a positive health effect on people suffering from cancer, anxiety, seizures, epilepsy and other health diseases. The other component in cannabis, THC, is an effective supplement for every day health. Cannabis rich in THC provides pain relief, eases nausea and vomiting, treats PTSD, promotes brain growth and is often used as a muscle relaxant for patients with conditions such as multiple sclerosis. In addition, according to World Health, the THC in cannabis is considered to be neuroprotectant, while most other drugs are neurotoxic. This means that cannabis actually protects brain cells from being damaged. Other than the short-term effects, getting drunk vs high have different long-term effects that you should also consider. Overtime, excessive alcohol consumption can lead to the development of serious health problems including liver cirrhosis, cancer, respiratory and heart disease. According to Reuters, approximately 2.5 million people die each year from alcohol related causes, which accounts for 3.8 percent of the deaths worldwide! 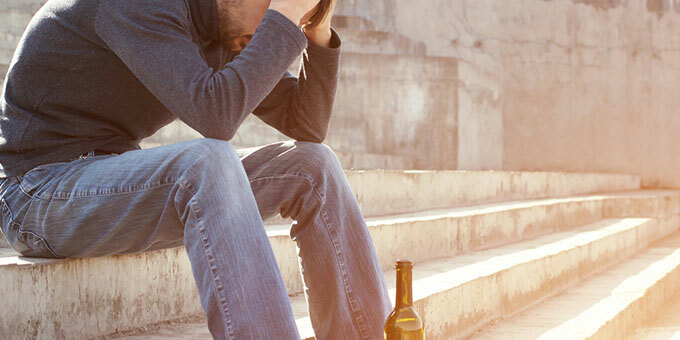 Alcohol a depressant and long-term use can worsen symptoms of depression, hallucinations, sleep disorders and psychosis. Alcohol is high in calories and can be stored in the body as fat for a long period of time. This makes it difficult for your body to burn excess fat and maintain a healthy body weight if you drink alcohol regularly. Cannabis is known to increase appetite and cause users to get the “munchies”, but marijuana doesn’t cause any chemical change to metabolism or the storage of body fat. So, although cannabis will enhance the smell and taste of your food, the myth about it causing weight gain is actually not true! All things considered, the effects of marijuana are far less extreme than the possible effects of alcohol. To avoid any negative side effects of cannabis, you should do some research on the different strains and the characteristics of each type of cannabis plant. On a final note, there are possible negative effects with both cannabis and alcohol. Regardless of your preference for getting drunk vs high, remember that everything should be in moderation!